In theory, San Jose Suite is pointedly geographical. Armed with a grant from the Doris Duke Foundation (via Chamber Music America), trumpeter-composer Etienne Charles sought out indigenous people in the cities of San Jose in both California and Costa Rica, as well as St. Joseph (once called San Jose de Oruna) in his native Trinidad, mining their respective musical cultures and political histories. The common thread-and inevitable theme of his 12-song, 55-minute opus-is building community by retaining musical culture as a means of resistance to further conquest. 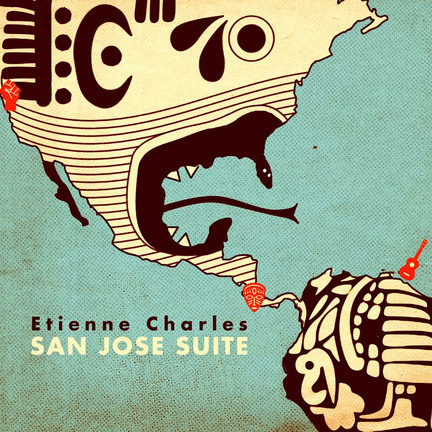 In practice, for better or worse, however, most of San Jose Suite is not unlike previous Charles projects in its polyglot of progressive music born out of the African diaspora. Experiencing happiness among the residents on his visit to Cahuita, a Costa Rican city 120 miles from San Jose, enables Charles to pen another calypso, building intensity through braided percussion and Ben Williams’ rubbery bass. Odes to the indigenous tribes in Costa Rica (“Boruca”) and California (“Muwekma”) feature beguiling horn voicings beautifully permeated by Fender Rhodes (from Victor Gould), akin to what Charles did on his previous disc, Creole Soul. 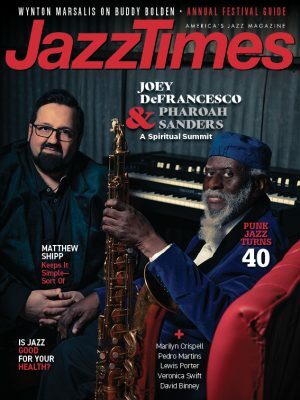 And depictions of historical resistance-as on “Hyarima” and “Revolt”-foster rumbling drums (from John Davis), agitated horns by Charles and alto saxophonist Brian Hogans, and some Santana-like fusion pyrotechnics from guitarist Alex Wintz.